Orlando City looked like they were down and out in their 2018 MLS regular season opener, but a second-half stoppage-time equalizer gave them a 1-1 draw against D.C. United at Orlando City Stadium on Saturday. The game was an end-to-end, fast-paced, physical affair for a season opener, and while D.C. looked like they would hold on for a vital three points, Stefano Pinho came off the bench and scored an equalizer in the 93rd minute to give the home side a point. Video Review in the 18th minute led to a penalty call for D.C. United, following a handball in the box by Will Johnson. But Darren Mattocks' penalty attempt was saved by Joe Bendik. But the visitors took the lead in the 32nd minute, when Yamil Asad's free kick from deep on the left flank flashed through traffic and beat Bendik. The situation got even rosier a few minutes before halftime, as Asad drew a foul from PC on a header, which after Video Review led to the Brazilian being sent off. 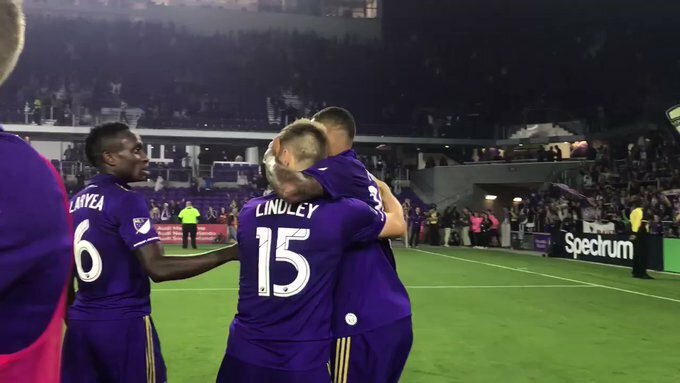 It looked as though D.C. would get out of Orlando with a win, even with the Lions putting them under pressure, but Pinho, making his MLS debut, notched the vital score in dramatic fashion.